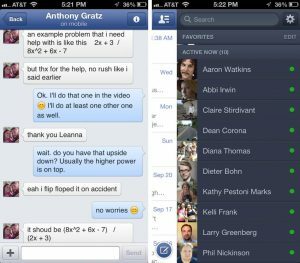 Best iPhone messaging Apps in 2015, you know is the latest hot topics as Social Media giants and all App developers have known it very well that the future is based on Apps and messaging. As the days are passing, people are trying to stay connected and stay close to their family and friends. The days have come, when free SMS and free calls are taking place of Mobile Carrier services. If you are iPhone user and don’t wish to share your iMessage details with anyone then there is no place for worrying in market. You can worry on what to select from N number of Messaging Apps for iPhone available in the market in 2015. We have decided to short out your confusion and provide you with a list of best iPhone messaging Apps in 2015, which can serve you in the best manner. You are not only going to enjoy the services, but fall in love while having the most user friendly experience. Tango is a free messaging, voice calling and video chat service. Installing Tango is a matter of few seconds. It will browse through your contact list, whosoever are using Tango from your calling list and add them in your Tango list. Rest you can add numbers and email contacts to add new Tango contact list. You can make voice and video call, here quality of video call depends on strength of your wifi signal. You can easily switch between voice and video call and enjoy chatting with innumerable smileys and emoticons. WhatsApp has emerged out as the most popular messaging Apps since last 3 – 4 years. It is equally popular in all parts of the world. All you have to do is download WhatsApp from Playstore or the internet. It will collect information from the calling list and update its database with other WhatsApp users. Recently WhatsApp calling feature introduced is working perfect. It is free for first year and then you have to pay $ 0.88 or 55 Indian Rupees. You can create groups to share interest with common interest friends. 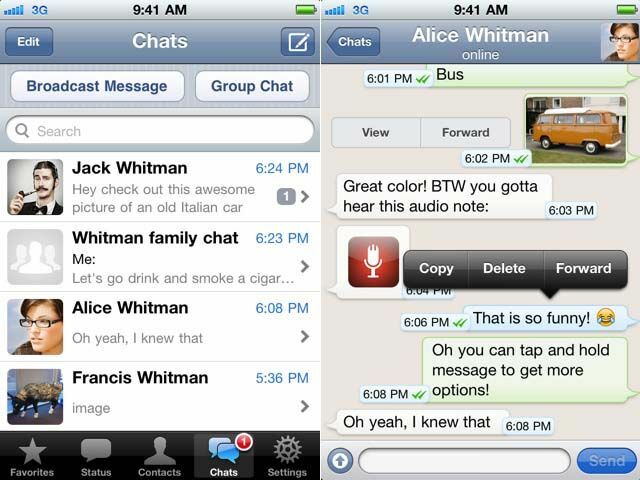 It is one among the best Apps for Messaging services for all platforms, especially for iPhone. Quality of shared videos and audio files are very good in WhatsApp services. Who does not use Facebook? Facebook is the most used Social Media platform and you can find all your friends on this particular platform. Facebook messenger is completely different App then Facebook. It works on messaging and calling platform. It uses data instead of minutes and push message system. It works seamlessly on iPhone. Google, trust and authority goes together. You can have best of both the worlds with this App. All your contact from Google, gmail and Google+. You can use Google+ hangout video sessions completely free. Make your videos of online sessions and post it on YouTube directly with total ease. It is a free App with lot more facilities from Google arena. 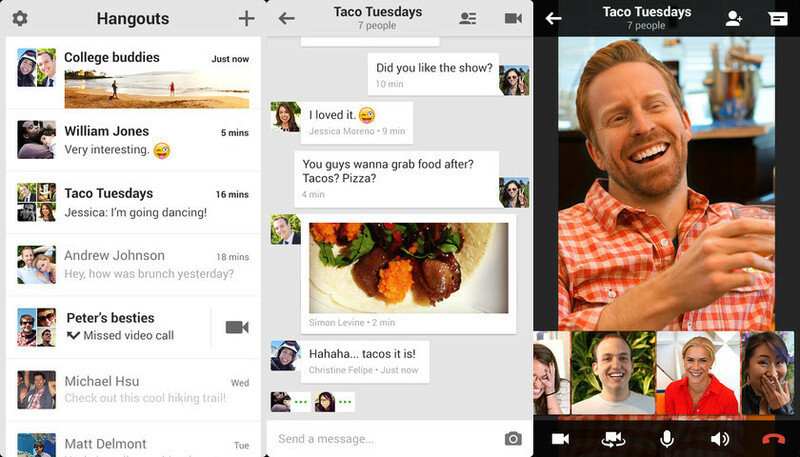 Google hangout can be easily downloaded from internet. If you talk about business, then Skype is the best messaging App for iPhone for professional purpose. 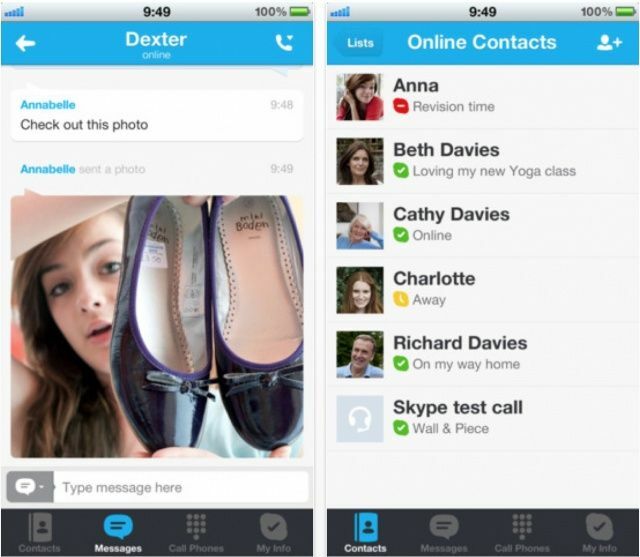 Skype messaging and calling is free to download. If you wish to use premium services and make calls for business purpose or integrate your phone, then you have to pay an amount for it, called as Skype credit. For general messaging and making voice calls, Skype is totally free. You can share the screen, share contacts, exchange documents and files on Skype messenger. Skype can be called as one of the best from the best iPhone messaging App in 2015. We have provided with the best iPhone messaging App in 2015, which are reliable, trustworthy and authoritative to use to chat with friends or business purpose. You can select the best one required for your purpose and enjoy the messaging.